Summary of "The Penalty Of The Death". 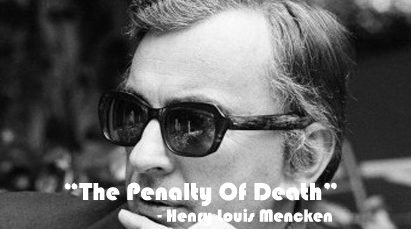 "The Penalty Of The Death" was written by Henry Louis (H.L.) Mencken (1880-1956). Mencken was an German-American writer. He worked as newspaper reporter, editor, and columnist. He is regarded as one of the most influential American writers and prose stylists of the first half of the twentieth century. As a scholar Mencken is known for The American Language, a multi-volume study of how the English language is spoken in the United States. His satirical reporting on the Scopes trial, which he dubbed the "Monkey Trial", also gained him attention. He commented widely on the social scene, literature, music, prominent politicians and contemporary movements. His writing criticizes the pompous (अहम भावना) and hypocritical (पाखण्ड) attitude of the middle class family. Mencken reflects the ideas of the abolitionists (मृत्युदण्ड विरोधीहरु) and gives reason in favour of capital punishment in his essay "The Penalty Of The Death". Question and Answers Of "The Penalty Of Death"
Summary In Nepali and WordMeanings Of "The Penalty Of Death"
Summary Of "The Penalty Of Death"
Abolitionists argue that capital punishment should be banned because hanging a man is not a good job and it cannot stop other people from doing the same crime. But the capital punishment should be kept alive. Noone thinks about abolishing other crimes equally unpleasant and bad as death penalty. And also no one has complained against hangman. Secondly, the aim of deterrence (ढिला सुस्ती) is not only to discourage the criminals or to prevent them from committing crimes. But the main aim of deterrence is one of the main aims of punishment itself. The main among other aims is "revenge" (बदला) for which the writer uses word "catharsis". The victim of any crime becomes sorry and loses the peace of his mind. But when the criminal is just punished, the victim becomes satisfied to see the suffering of the criminal and everything will be balanced. His emotional tensions will be finished and he will be calmed down as if he himself has punished the criminal. Every man has got the sense of "revenge" and it should not be controlled. When the shopkeeper misuses money., his master will lose the balance but after he is put in prison and is beaten by scorpions and the master will be satisfied and he forget his money. He gets his catharsis. Similarly when the whole security system is disturbed by any criminal, the people will feel relieved only after the criminal is punished otherwise everyone feels insecure. Those who murder people deliberately (जानीजानी) by challenging human civilization should be punished by death. The people will not be satisfied unless they are hung. There is no difference in hanging anyone because everyone has to die sooner or later. When someone commits a crime, he/she is waiting for death. When the death is delayed (ढिलो गरियो) he lives in the shadow of death, which is unbearable (असह्य) for him. The lawyer demands high in fighting the case and if he is not able to pay, he feels likely to be dead. The kind of waiting is very cruel. Therefore, when the court pronounces the death sentence, he should be killed then and there. He can go in peace recently. 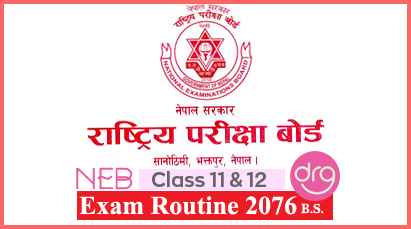 Class 12 Course "The Penalty Of Death"
0 Response to "The Penalty Of Death | Summary | Class 12"